After the deadlines pass – 30 March 2018 for public sector organisations and 4 April 2018 for businesses and charities – the EHRC has said it will give employers 28 days to become compliant. Failure to meet requirements beyond this point could ultimately lead to a fine decided by courts, with no maximum limit. The clock is ticking and with just 10 days to go, those who haven’t reported really are entering the last chance saloon. This is not optional; it is the law and we will be fully enforcing against all companies that do not report. 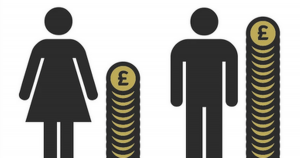 The gender pay gap represents a productivity gap. It’s bad for women who lose out on potential earnings and career opportunities, but also bad for businesses who are failing to properly recruit, promote and reward women.